Our antique shop is situated in the centre of the historic Royal Burgh of Dornoch. We have been in business here for over thirty years. We carry a constantly changing stock of furniture, porcelain and pottery, silver, jewellery, paintings, decorative arts, etc., mainly sourced throughout the Highlands of Scotland. Full details of items in stock and condition reports, including digital photographs, are available on request. We offer a worldwide shipping service, and deliveries throughout the United Kingdom at very competitive rates. Most local deliveries are free of charge. 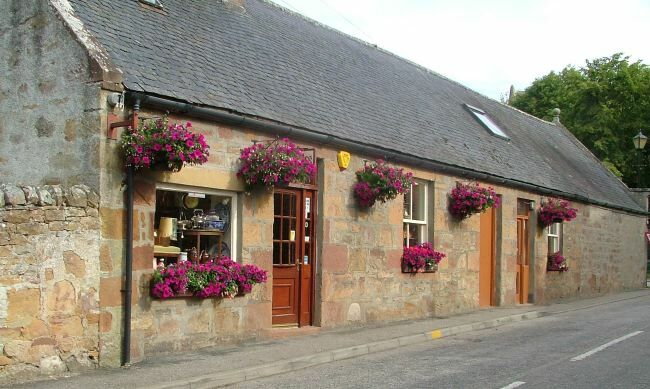 Castle Close Antiques is based in the centre of the historic Royal Burgh of Dornoch, directly opposite the ancient Cathedral. We have been in business here for over thirty years. Dornoch is forty miles north of Inverness; less than one hour's drive.